William Goldman’s beloved story “The Princess Bride” was turned into a movie more than 20 years ago starring Cary Elwes and Robin Wright Penn. Now, at long last, the story has become a video game. The Mac version will launch on June 30th, following the PC version’s release on Wednesday. It costs $19.99. Billed as five games in one, the Princess Bride Game combines casual, narrative and adventure games as you help Princess Buttercup and Westley manage life on the farm, defeat villains, survive the Fire Swamp, concoct remedies and vanquish the evil Prince Humperdinck. 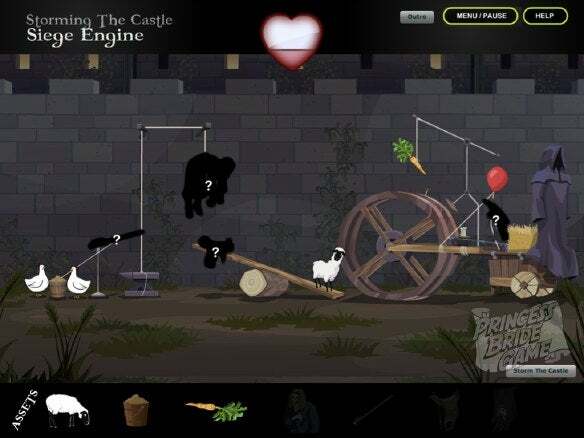 You can have fun storming the castle by building your own Siege Engine in this video game adaptation of the beloved novel and movie. All of the story’s familiar characters are here: Inigo Montoya, the swordsman determined to get revenge for his father; the villainous and sadistic Count Rugen; Vizzini, the crafty assassin; Fezzik, the lumbering giant, and more. The game sports cartoon-style animation and also features the voice talents of the original movie actors. It’s rated E for Everyone by the ESRB. Minimum system requirements call for Mac OS X 10.1 or later, G4/867MHz or faster, 512MB RAM, 100MB hard disk space.